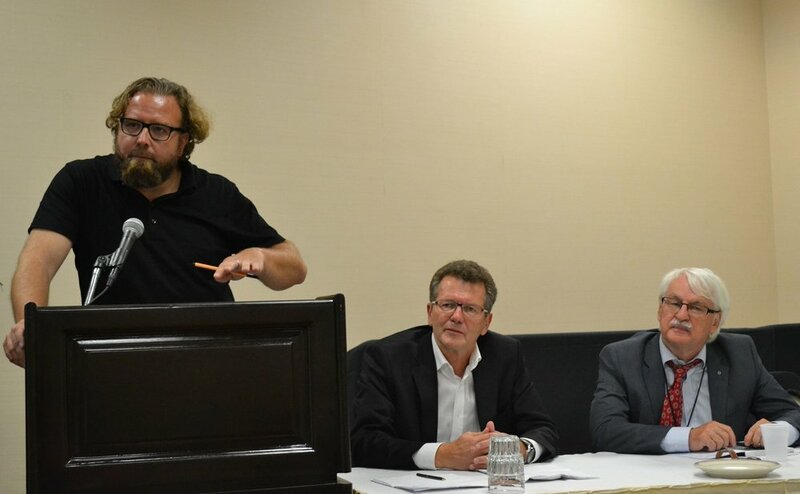 Ambassador Wolfgang Waldner attended the 40th Annual Meeting of the German Studies Association (GSA), which was held in San Diego, CA, from September 29 – October 2, 2016. The GSA is the premier- multi- and interdisciplinary assocoation of scholars focused on German, Austrian, and Swiss history, literature, cultural studies, political science and economics. The 2016 conference brought together over 1,000 scholars. Ambassador Waldner participated in a roundtable entitled "Austria and Migration: The Current Refugee Crisis in Historical Context," chaired by Professor Günter Bischof (The University of New Orleans) with fellow discussants Professor Dirk Rupnow (University of Innsbruck) and Dr. Christiane Hintermann (University of Vienna). Older PostInnovation Minister Leichtfried Visits U.S.